2019 Scheduling has begun. Not scheduling brick mailbox projects until July as our plate is currently full. 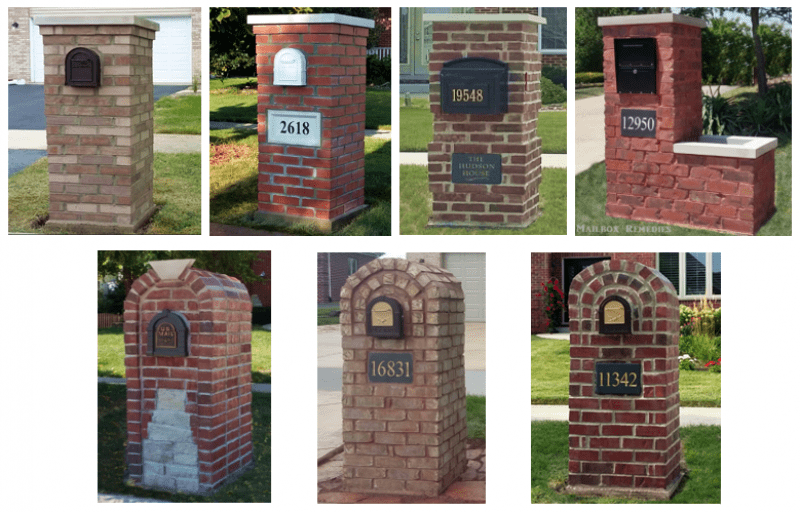 Mailbox Remedies builds Brick Mailboxes for Plainfield and most of the Greater Chicago Area. Mailbox Remedies will build approximately 15 brick mailboxes from April to December. You will want to be placed on our schedule as soon as possible so you reserve our first come first serve status. Step 2, the build out of your new brick mailbox. No sooner than 36 hours later, we may begin step 2 as the concrete foundation needs to set properly. The build out usually requires 2 separate days but depends on style chosen.